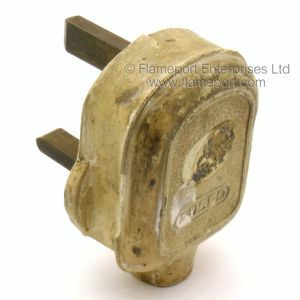 Another vile plug covered in dirt. Originally white, this example is ridiculously dirty. The word FUSED can be seen on the lid underneath the dirt and emulsion paint spillage. Pins are unsleeved, there is a crack in the lid above the earth pin and a section missing from the side edge. A 13A VOLEX fuse is fitted. Pins identified with Black, Red, Green which are the older colours used before 1971. Flex grip is two flat bars fixed with two screws, the lid is secured with a third screw. 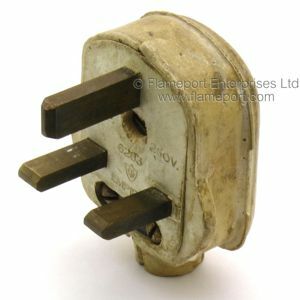 The interioe shows the original colour of this plug. 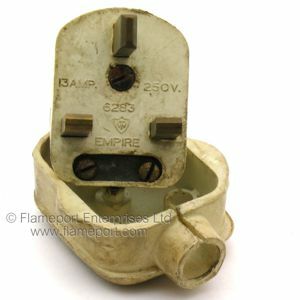 13 AMP, 250V. 6283 EMPIRE. 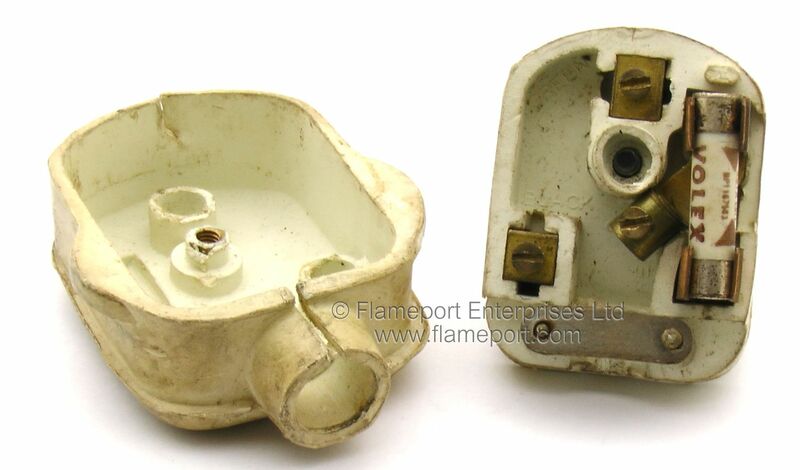 The lid has been sliced as was common with this style of plug - someone wired it and then realised they should have passed the flex through the lid first.